From 1992 through 2004, we offered footbag classes at Mt. Prospect's RecPlex sports complex. In that facility we also broke Guinness World Records with Ted Martin and Andy Linder. The Oak Leaves published an article about the first tournament I hosted in Oak Park. What an honor to be recognized in my home town! 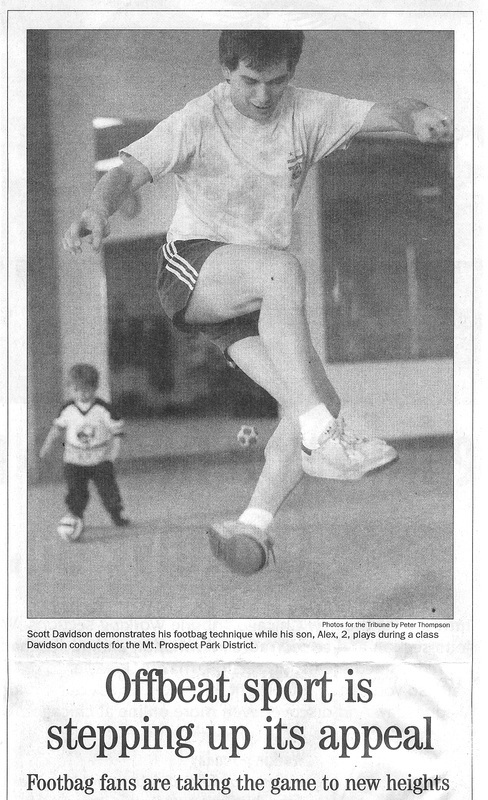 Another early article from my footbag career. Wednesday Journal Newspaper.